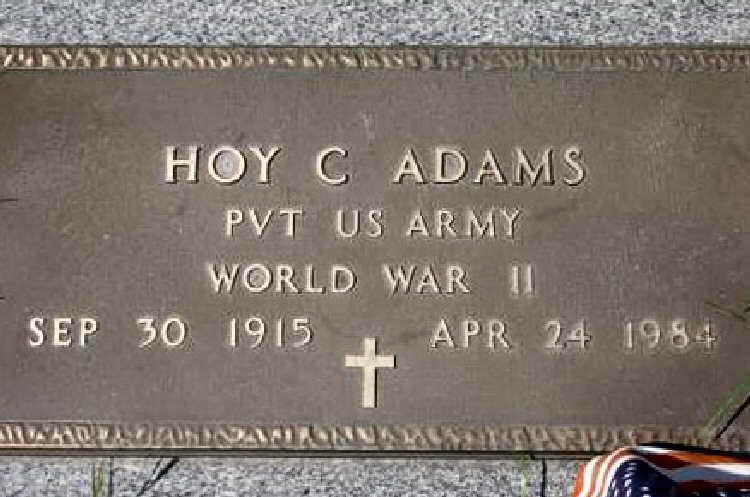 Grave marker for Hoy C. Adams in Shady Grove Cemetery, Science Hill (Pulaski county), Kentucky. Hoy enlisted in the army at Fort Thomas, Newport, KY on 11 November 1942. Pvt Adams was initially assigned to Hq Hq, 508trh PIR and then he was transferred to the medical detachment. Pvt Adams was sent on detached service to Fort Benning, GA, perhaps for medical treatment. On 14 June 1943 his assignment was changed to permanent status at Fort Benning. He was discharged on 1 July 1943.